Each of our Bible Study Groups open with a word of prayer, bringing both the Study, and the needs of the Church to the Lord… as well as giving Him praise and thanks for answers to prayer. On Saturday mornings at 7 a.m. a small group of “ardent pray-ers” meet to specifically pray about a whole range of things; and then adjourn to “Maccas”for breakfast. God has been good to have both answered prayers and blessed the time of fellowship together. Our ladies not only enjoy studying the Word of God together, but are seen here at their end-of-year / Christmas get together. 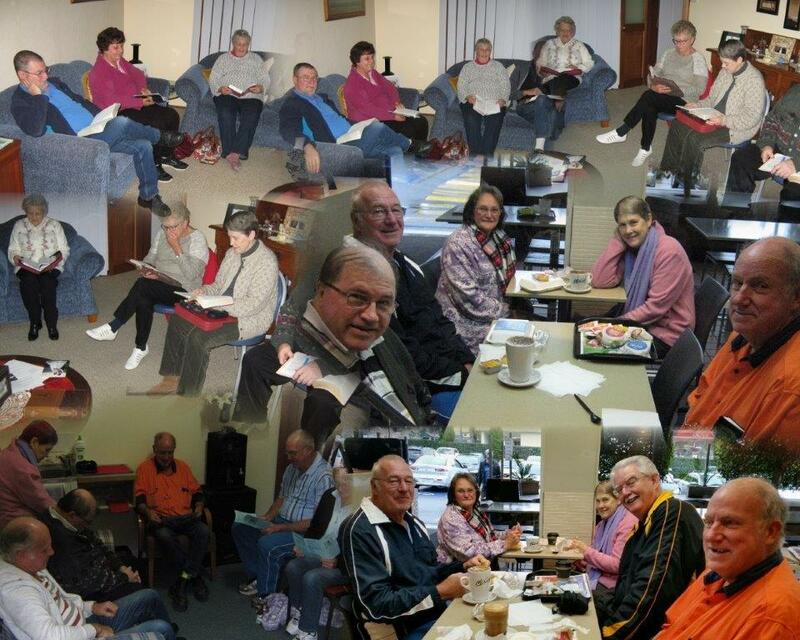 Members of the Saturday Bible Study Group sharing in the Word. Usually this is followed by sharing a good fellowship meal together. 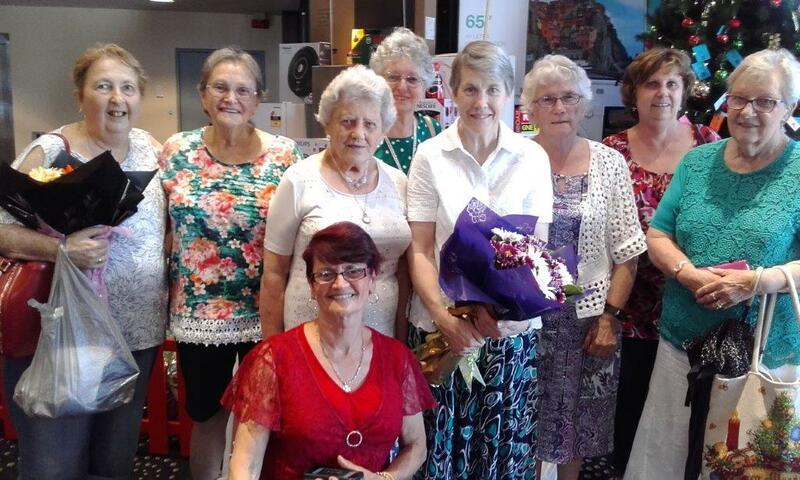 Members of our Saturday Bible Study Group seen here at their end-of-year / Christmas meal.